Voyage was made in 72 hours for Ludum Dare 37. 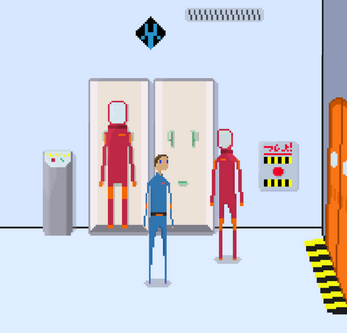 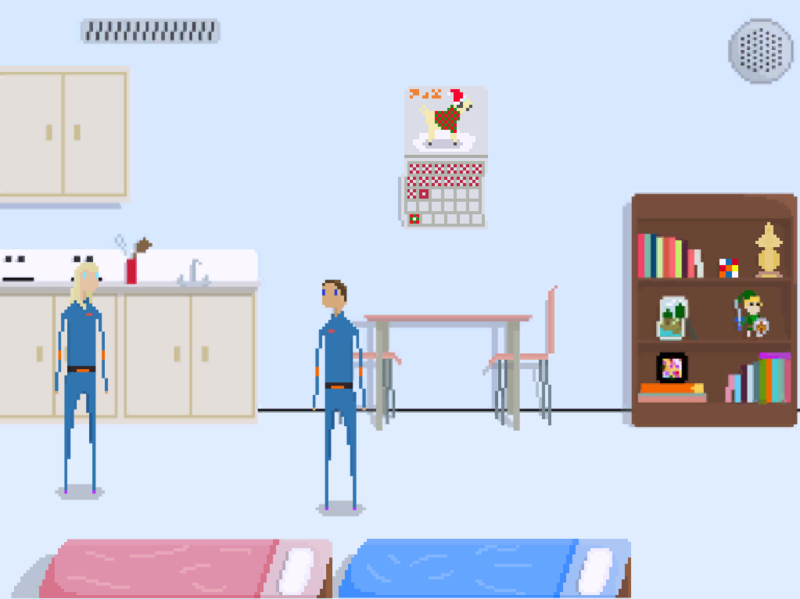 It is a small point and click game that revolves around two people that become stranded in space. 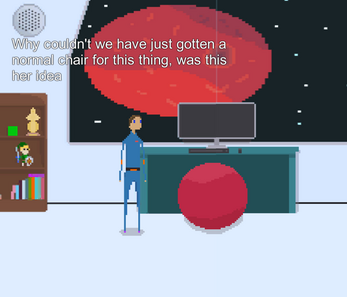 -Use your mouse cursor to find objects you can interact with or observe. 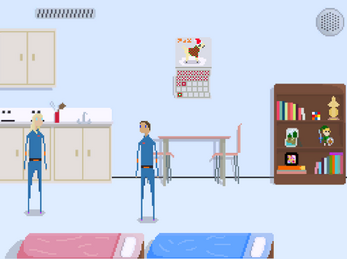 -Click on the blue bed to move to the next day.